Before getting to the point of building the layout, I had a bridge style in mind which I wanted to put onto my layout in some way. 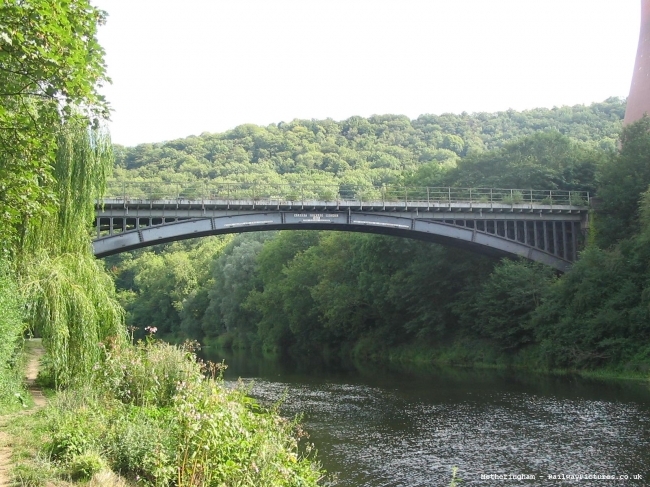 The bridge I am talking about is the Albert Edward Bridge in shropshire which spans the river Severn. From the start of designing the layout I decided that I was going to try and recreate the bridge’s look at the point where the railway passes over the the upstream part of the river. I chose this location for the bridge as at this point on the layout I plan to have the river lined with some trees, like the Albert Edward Bridge in the picture below. Albert Edward bridge, photo taken by me. You can probably see the size of this bridge on the photo, quite frankly I didn’t have the space on the layout to create the bridge to the scale size of the prototype. I used modellers’ licence very freely when designing the bridge as I only have about 14 cm for the bridge span. Using Microsoft Paint I created a simple plan for the bridge spans. I then printed these plans onto paper and stuck them onto the materials that I was going to use to construct it. I carefully cut the bridge spans out with a sharpe knife. I then assembled the pieces together and glued them with superglue. Later on I painted the spans and placed the span onto the piers that I had created out of embossed plastic sheets. My Remake of the Albert Edward bridge style. Above you can see the bridge almost finished. I plan to add some handrails and give the bridge a repaint at a later date. Some more photos of the bridge are in the Layout Gallery.